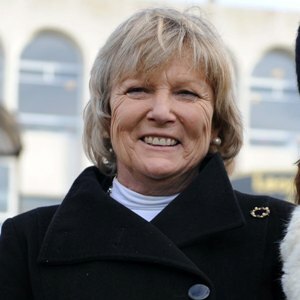 Prior to taking out a training permit in 1989, Jessica Harrington was renowned as one of the country’s top three day event riders, having represented Ireland with credit at European, World and Olympic level. In the early nineties Harrington swopped a permit for a full training license and high profile results soon followed. Oh So Grumpy recorded a landmark success in the 1994 Galway Hurdle, while Space Trucker provided her with a first Cheltenham winner in 1999 when he captured the Grand Annual Handicap Chase. Harrington will always be associated with the great chaser Moscow Flyer, who many regard as one of the finest jumpers to come out of Ireland in the last 40 years. The Brian Kearney-owned gelding won a host of top flight races including the 2002 Arkle Chase at Cheltenham and the 2003 and 2005 renewals of the Queen Mother Champion Chase. In 2013 she added her first Champion Hurdle to her list of jumping exploits when Jezki prevailed. Harrington has made a significant impact on the Flat in recent years and celebrated a first Group 1 victory in September 2010 when Pathfork won the National Stakes, while Bible Belt ran a great race to finish second in the inaugural QIPCO British Champions Fillies & Mares Stakes in 2011. She enjoyed a remarkable time during the 2016-17 jumps season, with Sizing John landing the Cheltenham Gold Cup.